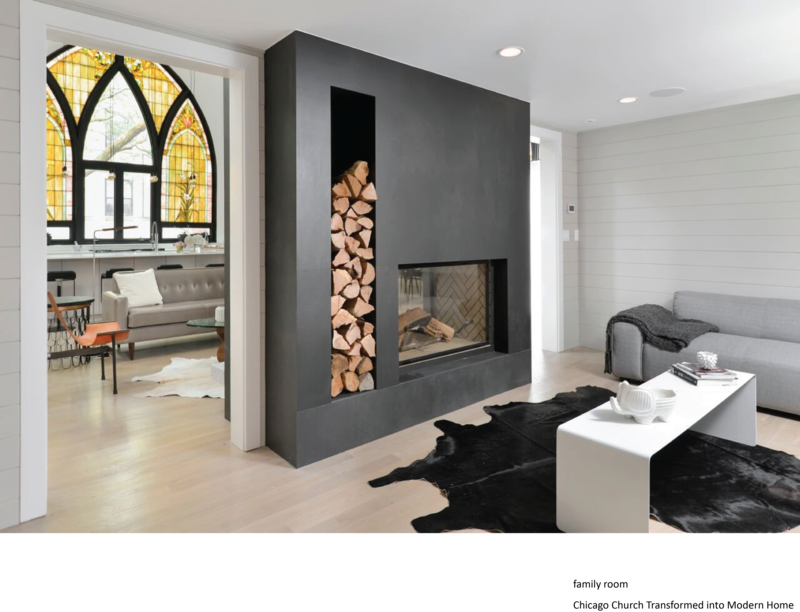 A previous renovation converted this historic church in Chicago’s Little Italy neighborhood into offices then two separate residences. The current owner wished to revamp the main unit and increase the square footage. 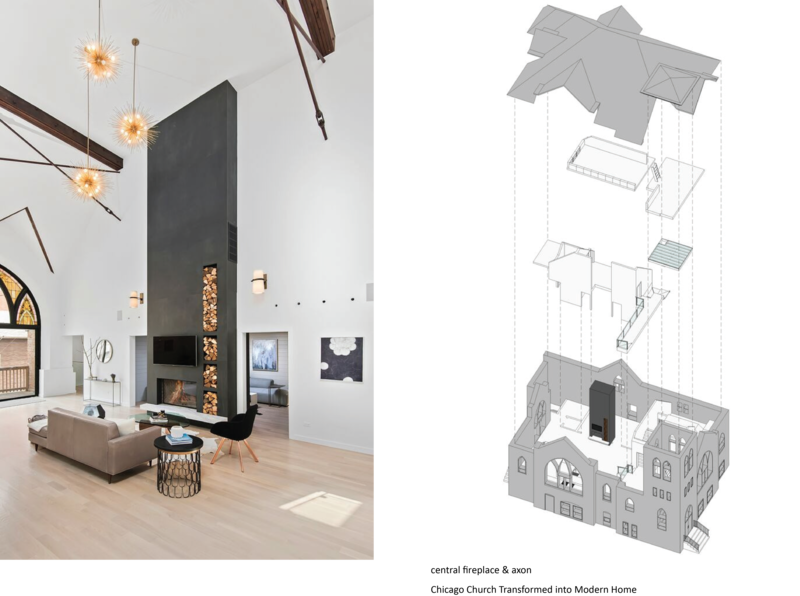 A mezzanine was incorporated into the design to add a bedroom and bath as well as new circulation to existing rooms. 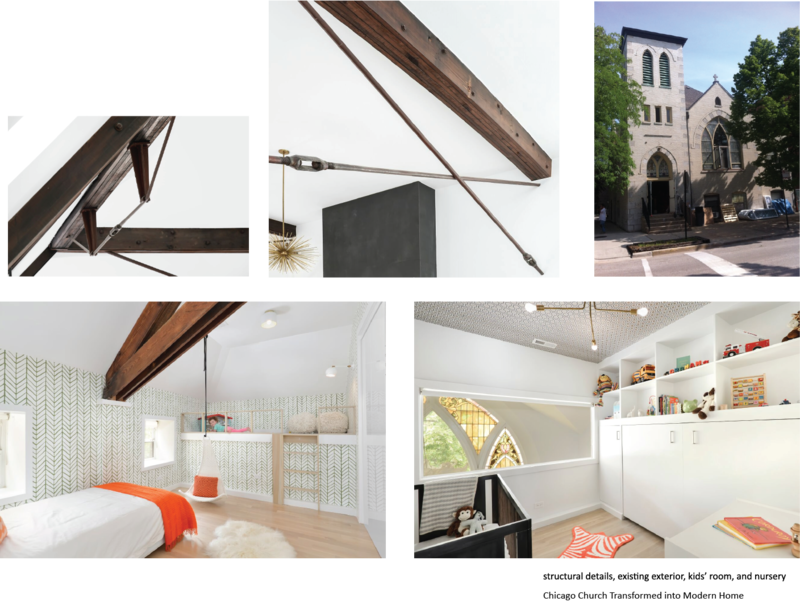 A dropped ceiling was removed from the main worship space thereby exposing the centuries-old beams and steel cross-bracing–both incorporated in the new design and used as inspiration for furniture and other built-ins. Existing stained glass windows were refurbished. Among other unique elements of the house are a climbing wall in the kids’ bedroom and a glass ceiling added to the bell tower to create an observation deck. All bedrooms and bathrooms were completely redone. A modern kitchen was incorporated into the main vaulted living space.